On Sunday morning, Oct. 15, as patients flooded into Santa Rosa Memorial Hospital, medical staff struggled not only to keep pace with the influx but also with the anxiety that they, too, would lose their homes. More than 130 doctors and nurses lost their houses in the blaze—and the hospital itself saw 1,200 patients the week after the fire, almost double the typical weekly number of incoming patients. Cambria Reese is just one of dozens of healthcare heroes to come out of the fires, as she, like others, put the health and wellness of her community before her self-interest. Reese, a registered nurse, was working the night shift when fire broke out on Oct. 8, and she discovered that her and her parents' homes near Larkfield were in danger. "Thankfully, a neighbor contacted them and got them out," she says. "I eventually reached them after they evacuated, but there certainly was a time of uncertainty." Reese spent a few nerve-racking hours waiting for contact from her family. In the meantime, she focused on her work and relied on her faith to get her through. The hospital dealt with multiple patients with severe burn wounds in those frantic first days after the fires. When the smoke at last cleared and patients were stabilized, released or sent to burn units for further treatment, one extremely sweet number stood out. Turns out numerous little phoenixes had risen from the ashes—Memorial Hospital welcomed 36 babies, as closures at Kaiser and Sutter hospitals brought mothers to deliver their babies to Memorial. "This was three times our normal expected birth rate," chief nursing officer Vicki White told us back in October. "This is going to be a great story for them when they get older."—B.S. On a wind-whipped day in Santa Rosa a couple weeks after the October wildfires burst onto the scene, a light rain fell and there was a sense the disaster was winding down. Most of the official action around the fire was taking place at the Sonoma County Fairgrounds. There, first responders gathered for lunch and coffee, the press showed up for briefings, and a massive tent city for first responders from around the country—from around the world—was in full bloom. 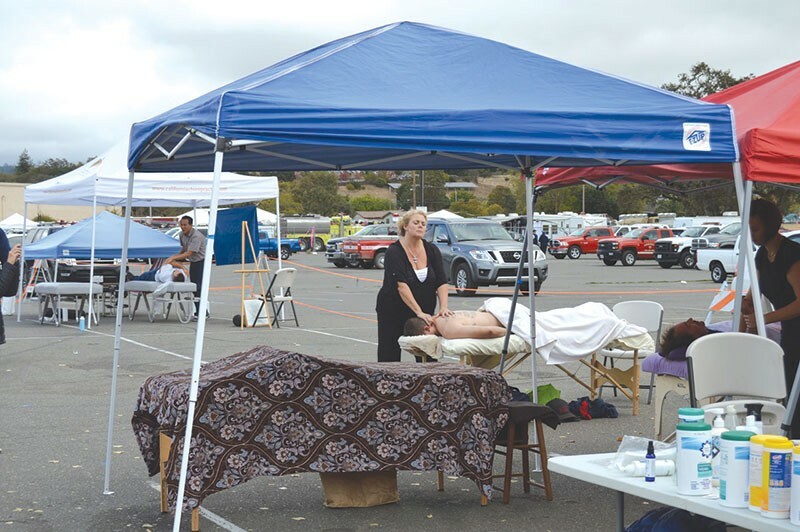 As cops and firemen and National Guardsmen lined up for tacos from a Dora's truck, burly tattooed men were getting open-air massages from kind souls, a common sight through the week, and a phenomenon whose origins lay in the days after 9-11, when first responders were also tested to the limits of their endurance and public massages were a common sight. I snapped the above photo of a woman giving a massage, looking sort of wistful and serious at the same time, and I wondered what she might have been thinking, as a light rain fell and containment of the fires approached 100 percent.—T.G. The news on the climate front goes from bad to worse as polar ice recedes and climate change–fueled droughts, storms and, yes, wildfires grow in frequency and severity. But here's some good news. The pioneering "carbon farming" work undertaken by the Marin Carbon Project has caught the attention of state officials who are offering grants through the Healthy Soils Initiative to spread the dead-simple but highly beneficial practices of no-till farming and use of compost over grazing land to sequester carbon. Research shows the methods can actually reduce climate change by as much as 40 percent if practiced widely enough. The techniques are not only good for the future of humankind, they are good for farmers in the near-term. Sebastopol's Singing Frogs Farms was able to boost its productivity and revenue to $100,000 per acre by basically doing nothing: no tillage, no amendments except compost and with minimal irrigation. That's a win for the climate, a win for farmers and a win for consumers.cdfa.ca.gov/oefi/healthysoils.—S.H. Several health providers in Sonoma County, including Kaiser Permanente, St. Joseph Health, Sonoma Valley Hospital and Sutter Health, are increasingly ditching the pills and prescribing some outdoor therapy as part of the ParkRx for Health program, in alliance with regional and state park professionals. ParkRX is a simple idea: get outside and engage in safe, low-impact walks and other activities at sites like Armstrong Woods, Jack London State Park and Sugarloaf Ridge State Park, which reopened in February after a lengthy closure related to the fires. These walks are intended to reduce stress by exposing participants to concepts like shinrin-yoku, or "forest bathing," a practice that originated in Japan and is gaining popularity in the United States. 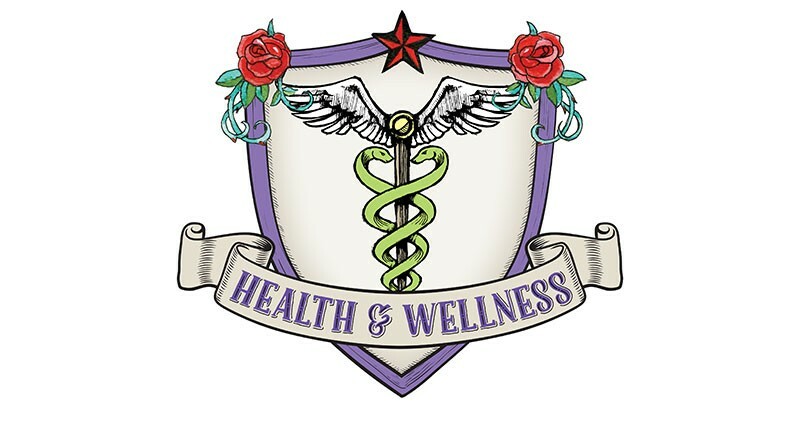 Other ParkRX offerings include yoga hikes and wellness walks, most of which are free with a prescription from the participating Sonoma County medical providers. Yes, these are actual medical prescriptions we're talking about. Ask your doctor if going outdoors and connecting with nature is right for you. Side effects may include happiness, laughter, exercise, new friends, a tan and a renewed appreciation for the natural beauty of the North Bay.—C.S. Water flows downhill. So do toxins, pesticides and other hazards deposited as ash by last year's fires. It was feared that fire debris would loose a "second wave of disaster" once the rains came. The good news is that a coalition of volunteers and public agencies quickly sprung up after the fires to give mycoremediation and compost a try at absorbing the chemical tide that would otherwise wash into the Russian River watershed. Mycoremediation uses quick-growing mushrooms that act like sponges for chemicals and heavy metals, keeping them out of waterways. The projects may serve as models for future wildfire-recovery efforts, and were a poignant example of the volunteerism and generosity that characterized local efforts after the fire. Sebastopol's Gourmet Mushrooms donated thousands of pounds of substrate used to grow mushrooms. Sonoma Compost and West Marin Compost donated their eponymous product. Petaluma's Wattle Guy provided wattles—barriers and fences made from natural materials like rice straw and sticks. Russian Riverkeepers and the Clean River Alliance marshaled volunteers to make, fill and install the wattles and monitor water flow during and after the rains.—S.H.